We Have eBooks Available Now! Help Buhl High School Library buy new books! Every dollar donated comes back to Buhl High School Library. In order to meet the needs of Idaho Common Core, Buhl High School must update it's non fiction collection. Enter Code : 1057 when you donate. Want to help Buhl High School Library? Click here to make a donation. Thank you! Mrs. Jones has lived in Idaho most of her life. 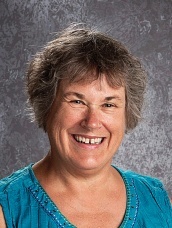 She has worked as a Fisheries Biologist, a Plant Pathologist, a library cataloger for CSI, a science and math teacher, and the librarian at BHS for the last 21 years. She loves reading, gardening, skiing and soccer.